We spent this past weekend with a lot of friends in the Smoky Mountains in Gatlinburg, Tennessee. While I'm definitely a beach person, the mountains were beautiful too. 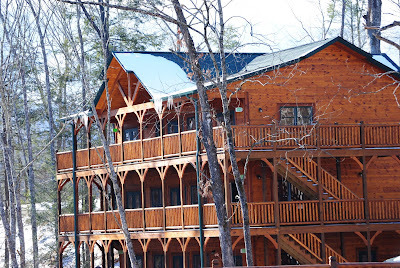 We rented a huge cabin and had a great time! I volunteered to bring chili and decided some cornbread muffins would be a good accompaniment. Of course, I forgot to take pictures of the chili when I made it or on Saturday so scenery and muffins will have to do this time. The chili turned out really well and for future reference if you ever have to transport a large amount of chili (I made about 12 quarts) or you just want to make it ahead of time and freeze it; transfer the cooked chili to gallon size freezer bags and freeze it flat. Then just reheat in a crockpot or on the stove. The recipe below is cut in half to make a "normal" amount of chili but this would still serve about 10 people and fill a 6 qt crock pot. Brown meat in a large dutch oven or skillet over medium high heat, crumbling with a wooden spatula. Drain off grease and transfer meat to a bowl. Return pan to heat and add onions and garlic. Cook about 2 minutes and add beer to deglaze the pan, scrape any brown bits off the bottom of the pan and let the majority of the beer cook off. Transfer to a crockpot if desired. Reduce heat to medium-low and add tomatoes, tomato sauce, and beans and stir to combine. Add corn, peppers and spices and cook for at least 60 minutes covered on the stove, stirring occasionally or 3-4 hours on low in the crockpot. Stir in tomato paste as necessary to thicken to desired consistency. Top with shredded sharp cheddar cheese, sour cream, Fritos, etc. as desired. Preheat oven to 400 degrees and spray muffin tins with baking spray. Combine flour, cornmeal, baking powder, salt, and baking soda in a large bowl and whisk together. Make a well in the center. In a food processor, combine, corn, sugar and buttermilk and pulse several times. Add eggs and blend until well mixed, the batter will be lumpy from the corn. Pour wet ingredients into well in dry ingredients and begin to gently combine. Add melted butter and continue mixing just until dry ingredients are all mixed in. Stir in cheese and jalapenos. 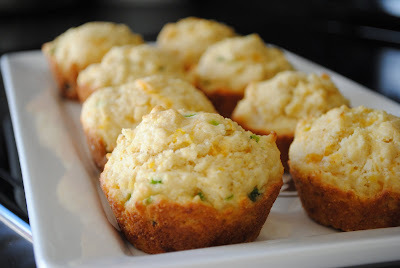 Spoon into muffin tins, filling each about 2/3 of the way full and bake about 20-25 minutes until the tops spring back when touched. Cool in pans for about 5 minutes and then transfer to wire racks to cool completely. Serve warm with chili and butter or store in an airtight container. 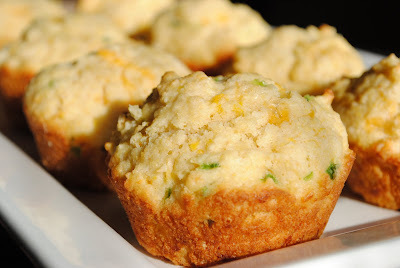 mmmm that cornbread looks so good! 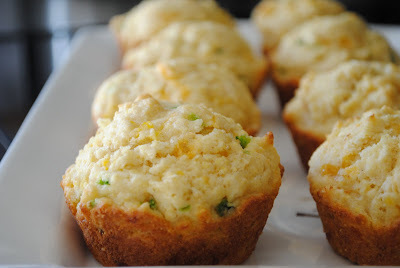 cheesy jalapeno cornbread is one of my all time favorite foods! looks good! 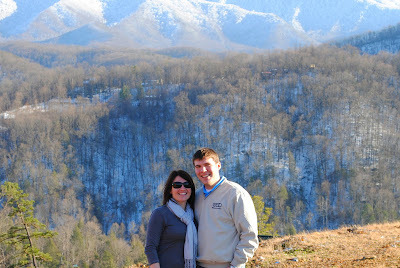 Aww, I love the Smokies! It's such a great place to go and enjoy the scenery and kick back. Chili was probably the perfect accompaniment. Wow, gorgeous locale! Glad you guys had an awesome time. Your meal was perfect for the setting...you rock!